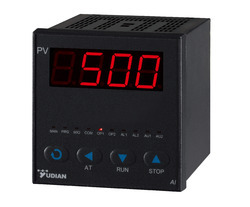 Providing you the best range of yudian universal indicator ai-500, yudian ai-702m dual channel indicator / scanner, universal indicator ai-706 and digital voltmeter es7 with effective & timely delivery. 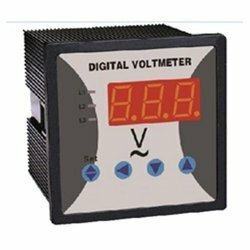 We are the leading Wholesaler, Distributor, Exporter and Service Provider of Single Channel Indicator AI-701. 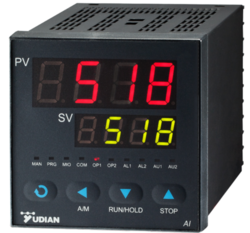 Programmable and modular i/p, supporting multiple input types of T/Cs, RTDs, voltage/current and two-wire transmitters. Suitable for measuring and displaying temperature, pressure,Flow,humidity. Supports up to 4 loops of alarms,2 loops of high limit alarms plus 2 loops of low limit alarms. Alarms can be outputted to Swiss Replica Watches different relays or share one. Supports RS485 communication interface, able to communicate with computers. 1. One line LED display , circulation display of the voltages , suitable for 3 phase 4 wire system. 5. Support PT (voltage transformer) , can set the PT ratio freely.